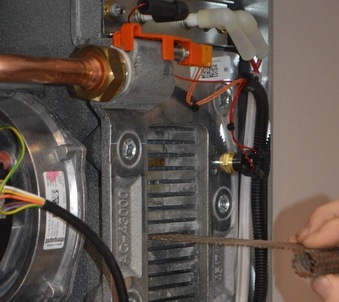 Are you getting your boiler and gas appliances serviced regularly? Are you happy with the service that you are receiving? Are you happy with the prices that you are paying? 1st Gas Engineers Ltd have been servicing boilers and gas appliances in Northamptonshire, Bedfordshire, Milton Keynes and surrounding areas for over 30 years. This means that you get a quality service at the right price. We also offer Boiler Cover, which includes an annual boiler service and repairs from only £18.00 per month. We service all makes of boilers, gas fires, Valor gas fires, gas cookers, gas fired water heaters, back boilers and fires, warm air units and gas fired swimming pool heaters. Our engineers are able to work on both natural gas and LPG appliances, commercial and domestic. What does a boiler service involve? To ensure the continued efficient and safe operation of a boiler it is recommended that it is checked and serviced at regular intervals, in general once a year should be enough. It is the Law that any servicing is carried out by a competent person who is Gas Safe Registered. Where replacing parts 1st Gas only use parts that conform to the safety and performance specification required, all parts and labour come with a 12 month warranty. * Offer valid until May 2019, offer available to new customers only on one appliance only. Please mention the offer when booking your service.